Just like a big family dinner over the holidays, retailers bring with them their own unique personalities to the holiday shopping season based on findings from Placed’s 2012 Holiday Retail Analysis. By aggregating and then normalizing data collected from Placed Panels, Placed is able to provide retailer-level insights on visits to physical locations. This micro-level data is a first in an industry previously dominated by aggregate insights with limited actionability (ex. retail sales up 2% year over year). Each individual retailer has its own persona when it comes to in-store visits. 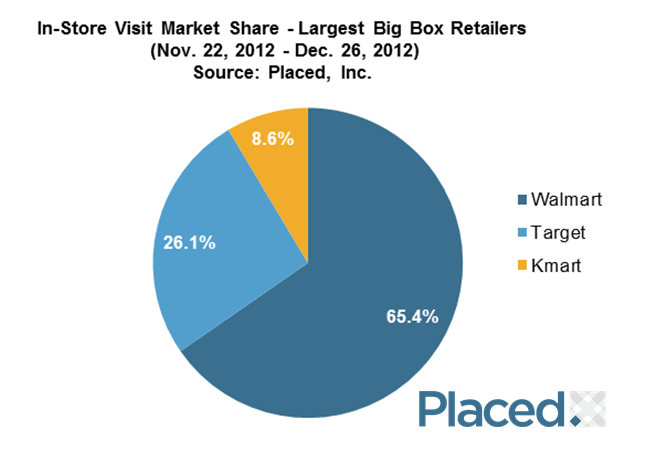 Toys ‘R’ Us’ busiest day in December was the 15th, while Best Buy was Super Saturday (22nd), and Walmart was the 23rd. This highlights that a single day does not make or break a retailer’s holiday season. Consumers’ retail preferences change based on time to Christmas. 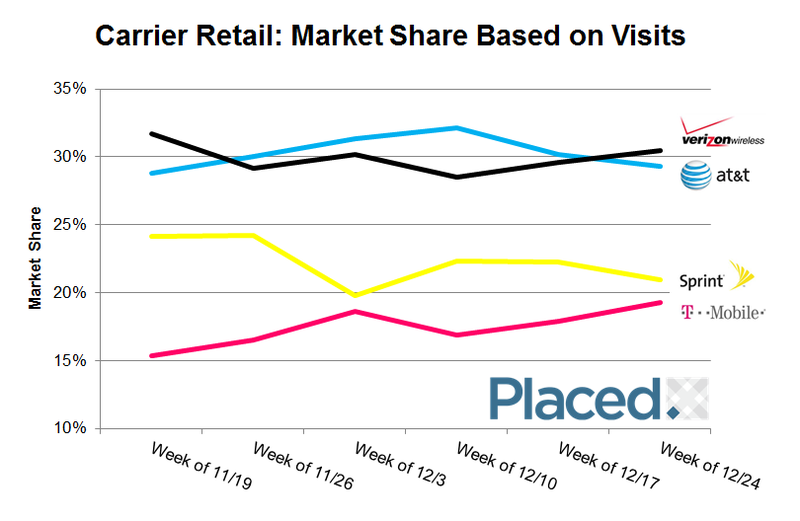 Gainers in terms of relative in-store visits were incredibly diverse across a week in December (Super Saturday, Christmas Eve, and Day After Christmas). Only American Eagle and Victoria’s Secret made the top five in these three days, while the rest of the retailers were unique. 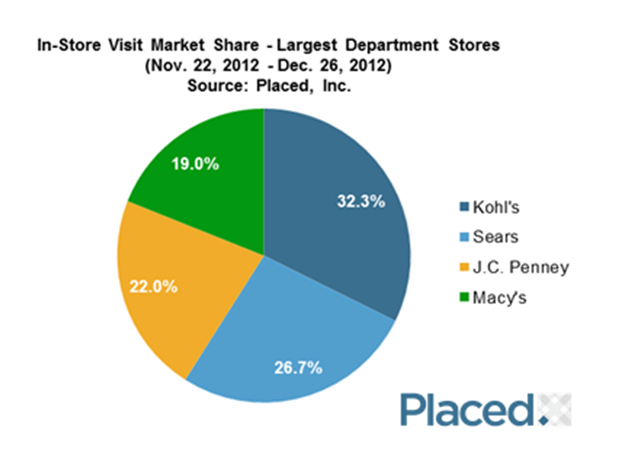 American Eagle was also the highest ranked retailer for Black Friday. With the carrier retail outlets, market share is always in flux where a few percentage points mean the difference between #1 and #2 in the market, or #3 and #4. This level of fluctuation highlights that there are opportunities to increase share in the market as well as identifying strong and weak players. This entry was posted in Data Insights by David. Bookmark the permalink.